Located in the beautiful sandy hills of LaVernia TX, just 25 miles SE of San Antonio is where you will find MIOWNSTONEPONIES miniature horses. 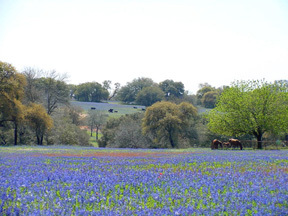 This 600 acre ranch is home to about 60 minis, 4 ponies, 5 APHA, AQHA, and PtHA horses, and about 90 head of Black Brangus cattle. I bought my first mini in 1995, and as anyone who has minis knows...you can't stop with just one. I have raised and shown Frame Overo Paints and Pintos for about 20 years, and will still continue to raise a few quality foals each year. My goal is to concentrate on breeding and raising quality overo minis. Tina has shown very well, she has always placed first in her class in AMHR and PtHA. I have never shown her AMHA, thats next. 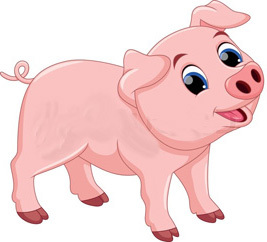 In June 2003 Tina went to Pinto World and now has the title of PtHA Res. 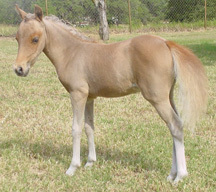 World Miniature Mare. Tina has her ROM in Pinto halter and has AMHR halter points from the 2 shows she has be in this far. Tina's 2002 filly is below "FASHON". Keep an eye out for Tina...she has places to go !!!!! 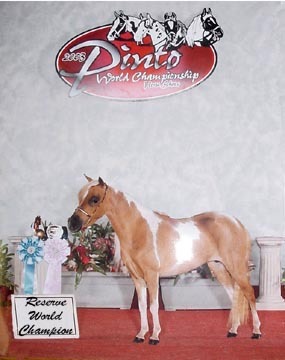 Satin was shown in PtHA in 1999 and she got her ROM in halter, she also has 16 points in Tobiano color. 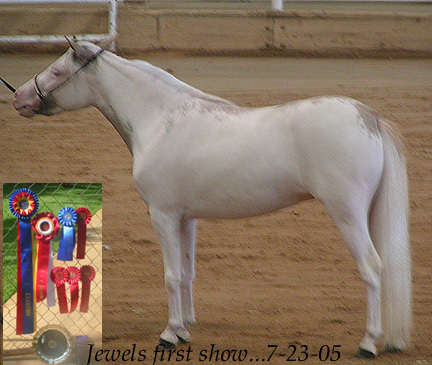 Satin was shown at an AMHR show and won the Liberty class. Satin is now a great broodmare. Mojove was shown in 1 PtHA class and received 2 second places and 2 reserve champions. 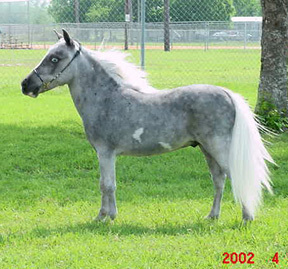 Fashon was shown in the South Texas Pinto Breeders Futurity where she placed 2nd in the breedstock mini class. She is the daughter of Miown Toymaker above. 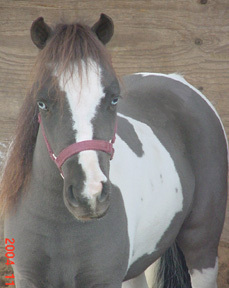 a 2003 AMHR, PtHA black & white pinto filly. 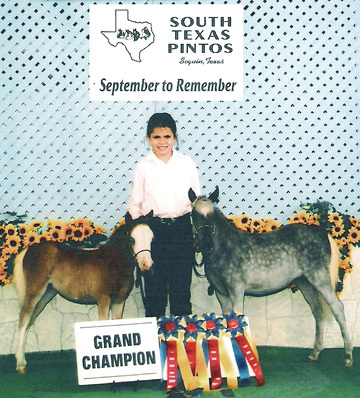 "Belle" has been showing very well and won South Texas Pinto 2004 Area Champion B mini Halter and Color. 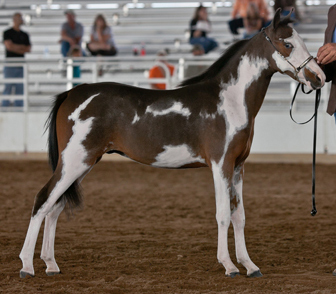 A 2003 AMHR sorrel overo filly, shown here at her first AMHR show placed well in halter in a large class. Ending up with 1 Grand Chamion and 1 Reserve Champion. 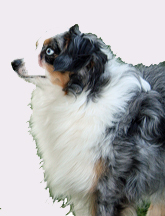 Miown China Doll & Miown Candy Girl both 2006 fillys won a Grand Champion in their own class at the Pinto show. Hope was showing the girls for their wins. 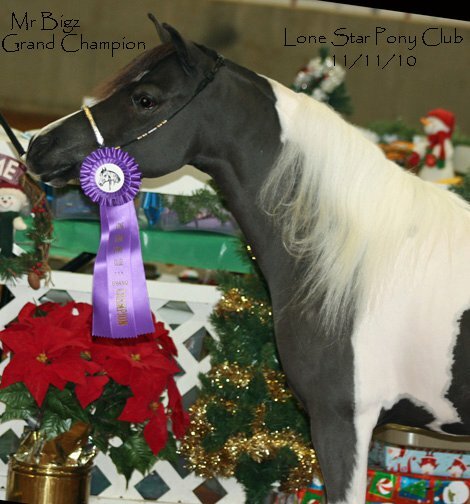 Candy Girl and Hope won the year end award for Breedstock Minis in the South Texas Pinto Club.